Footballers are not exactly known for their brains as much as their physical ability, so it's always nice to identify some of them who have clearly shown an aptitude for intelligence, one way or another. Here's the list. In his prime, Lampard was a roving box-to-box midfielder with passion for the game, a great work ethic and of course, an excellent long-range shot. The all-time Chelsea goalscorer (from midfield, no less) was one of the top British players at his peak, and still has plenty to offer in the beautiful game, as seen in his only season at Manchester City and more to come at New York City. But Lampard is more than just a great footballer. His outstanding results in the IQ test with Mensa in 2009 is added testimony that Lampard has the smarts to back his footballing skills. Furthermore, he is also a writer, having signed up with publisher Little Brown to produce a series of children's books. Not too shabby for a post-football career, if you ask me. Moving onto one of Lampard's old teammates, Glen Johnson. While Johnson failed to make the grade at Stanford Bridge, he did earn a big money move to Liverpool, where he put in a few decent seasons before the inevitable decline brought about by age. While his footballing career reads more as a story of what could have been had he fulfilled the immense potential shown in his earlier years, Johnson is in the midst of obtaining his degree in mathematics, and is known to show a flair for the subject. If only he transferred more of that knowledge into improving his defensive skills, perhaps we would be looking at his footballing career in a different light. One of the Premier League's finest goalkeepers in his day, Shaka Hislop spent the majority of his playing career with teams such as Newcastle, West Ham and Portsmouth. Had he opted to play for England instead of Trinidad & Tobago, he might have made a bigger name for himself. However, Hislop has shown that he is far more than just a safe pair of hands. He owns a degree in mechanical engineering and even interned for NASA once. How cool is that? He was also inducted into the PFA's Roll of Honor, only one of 2 non-British footballers to make the cut. Currently, he can be seen providing his opinions on leagues around the world as an ESPN commentator. 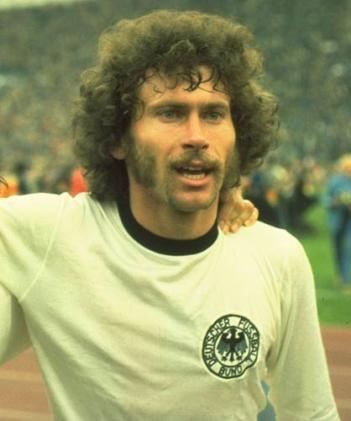 One of the legendary players who graced the teams of Bayern Munich and the German national team from the '70s, Breitner can claim to be one of the best full-backs of all time, perhaps even the best. Having won everything there is to be won by his early twenties, he subsequently made a big-money move to Real Madrid. One of his many legacies was being able to score in two separate World Cup finals. Off the field, Breitner has shown himself to be charismatic and vocal. A football analyst with regular TV appearances in Germany as well as Ireland, he even attempted to make a name for himself as an actor, although that path did not go as well as his footballing career. Nevertheless, Breitner was a one-of-a-kind individual who was never afraid to be who he wanted to be. Juan Mata has come a long way from being a promising player at the Bernabeu, to Player of the Year at Chelsea before taking awhile to establish himself as an integral player at Manchester United. Not the quickest player, Mata has more than made up for it with his creativity and passing range, among his many qualities. A humble player who shys away from the spotlight, his brilliance on the field is undoubted. Not many players can claim to have ever held the World Cup, Euro Championship, Champions League and Europa League at the same time. But as with the others on the list, they are not lauded here for their footballing ability, outstanding as that may be. Mata has a degree in journalism, and has even embarked on several distance learning courses. 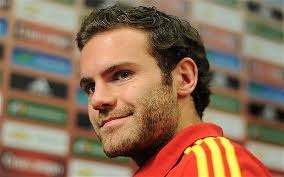 He is an exemplary player who has not let his footballing career get in the way of his efforts to continue learning. Bravo! Hope you enjoyed this article! Thanks for reading!